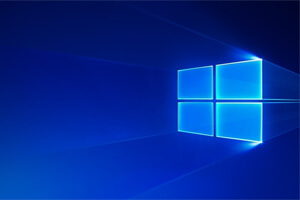 Rumors are circulating the Internet that Microsoft intends to start charging a monthly fee for Windows 10. Windows 1.0 was released on November 20, 1985. For the past 32 years users have purchased Windows either outright, or as a part of the price of a new PC or laptop. If Microsoft starts charging a monthly fee, it would be a major change in the business practice and pricing model of Windows. Most people think Microsoft makes most of its money off of Windows. While that was true in the past, it’s been a long time since Windows was the flagship product for Microsoft. Today that honor belongs to Microsoft Office. Microsoft’s cloud computing service comes in second. Windows? 4th. Cloud computing revenue will most likely eclipse Office revenue within the next 5 years. Monthly subscription fees for Windows software products are not a new idea. Back in 2013 rolled out Office 365 Home Premium, an Office subscription service that costs $100 per year or $10 per month. The program allows you to install Office on up to 5 computers. They didn’t eliminate their direct purchase plan, which today costs $150, but it is limited to one computer only and is only for home and student use. Businesses must purchase a subscription plan. Microsoft’s Azure is entirely priced on a subscription model. Microsoft’s #3 revenue generator, the Xbox, also has subscription pricing. Xbox Live Gold costs $60 per year, or $25 for 3 months, or $10 for 1 month. Xbox live allows you to play games against other players online. With the Gold membership level you can also watch Netflix right on your Xbox. So the top 3 Microsoft products all utilize subscription pricing. So what about Microsoft’s #4 product, Windows? Windows 10 currently costs $119 for the regular edition and $199 for the Pro edition. While Microsoft has not stated they are moving to a subscription pricing model for consumers, they have announced a new subscription model for businesses. The new product, Microsoft Managed Desktop, will include hardware, software, and support all in one package. Each business subscription will be tailor-fit for the subscribing business. So Microsoft isn’t planning on moving to a subscription pricing model for the Windows consumer market – right now. However, Microsoft has a long history over the past decade of introducing subscription-based products. Some have hit the consumer market, most notably the Office and Xbox lines. Another area that may hit the consumer market more heavily in the future is Windows Apps. Right now most Windows Apps are purchased outright, but that can always change in the future.